Residential Area perfect for new home! 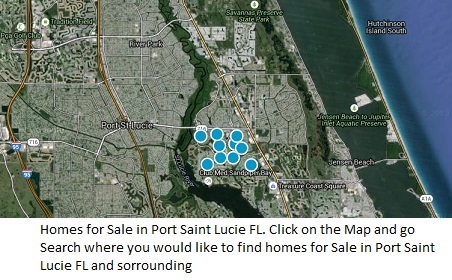 Oversized lot in Central PSL.Easy access to St Lucie West shopping and schools. Mostly cleared & some fill added. Central location Close to Turnpike, Crosstown Parkway. City Hall. WALK to shopping. Winn Dixie. Nice lot ready for your new home. 2 bedroom, 2 bathroom home on a corner lot with a large backyard. Bring an offer today! ''LOWEST PRICED 4 BEDROOM HOUSE IN PSL! ''Beautiful home that is move in ready, a must see. Convenient location!! This property is priced to sell. Almost 1900 square feet under air. CBS construction. Call today! !